Audra Flanagan has been selected to serve as the City of Duluth’s Manager of Human Resources, Healthcare & Safety. 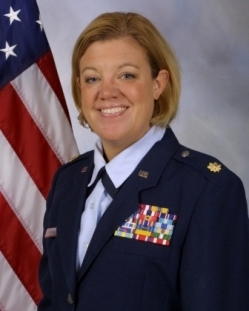 Flanagan, a Lieutenant Colonel, served as the Wing Executive Officer for the 148th Fighter Wing, the Duluth-based Air National Guard base. Ms. Flanagan was responsible for managing all aspects of daily operations at the 1,000 member base. She served as the chief of public affairs and senior leader advisor and most recently as the Director of Personnel, positions which demanded expertise in community relations, human resources, and leadership. Ms. Flanagan’s deployments include Southwest Asia in 2011 and Afghanistan in 2007. Ms. Flanagan earned Bachelor and Master of Arts degrees in Organizational Management and Communications from Concordia University. She also received extensive military education, honors, and awards during her time in the service. Ms. Flanagan will begin work with the City on March 20, 2013.
via Audra Flanagan Hired as City’s Human Resources Manager.